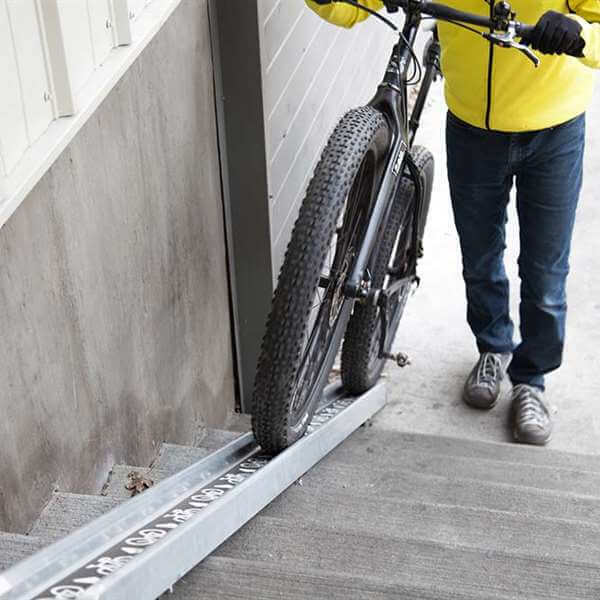 The Bicycle Stair Access Ramp is a safe, efficient, and cost-effective modular ramp system for cyclists to easily transport their bikes up and down stairs. 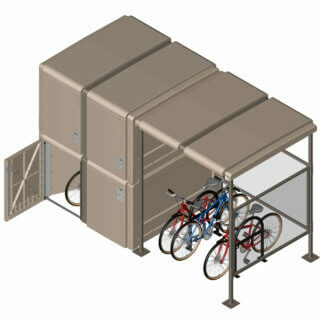 The bike stair ramp is made in the USA, and features an aluminum ramp channel. The stock length of channel is 8 feet. 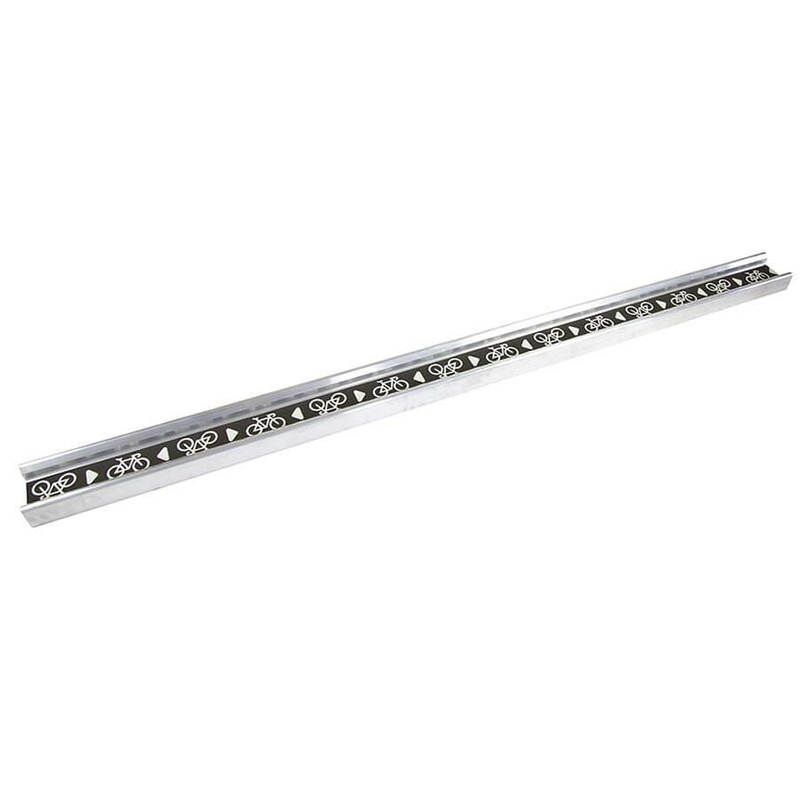 The channel is easily cut to length. Modular design works with any stair system (rise, run, and length). Only one measurement is required to specify the design. No more expensive, time consuming custom runnel design, shop drawings, and on-site fabrication. Ramp section designed to work with all types of bikes up to a 5” tire width. Anti-rollout feature ramp shape requires only one hand to hold the bike while it rolls. 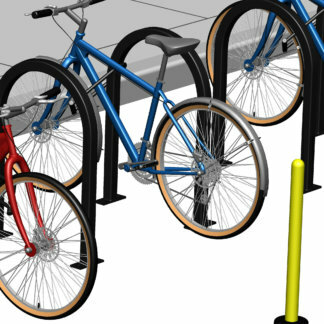 Grip tape at the base prevents slipping, bike ramp graphics ensure intuitive use. The wheel ramp is made of thick wall aluminum, and the stainless steel mounting feet will not rust. Concrete anchors included; other mounting options available.